Salon Omorfi – Omorfi is the Greek word for beauty. Beauty is your inner joy, your energy, your creative spirit, uplifted by love and care that pleases the enlightened senses. Omorfi is the Greek word for beauty. Beauty is your inner joy, your energy, your creative spirit, uplifted by love and care that pleases the enlightened senses. Omorfi is the Greek word for beautiful. Beauty is your inner joy, your energy, your creative spirit, uplifted by love and care that pleases the enlightened senses. 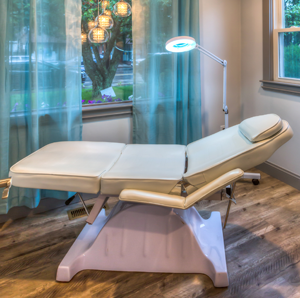 Ormorfi is your salon…an exciting combination of art, science, creativity and joy rejuvenating your whole self in mind, body and spirit. It is the new you…it is you. 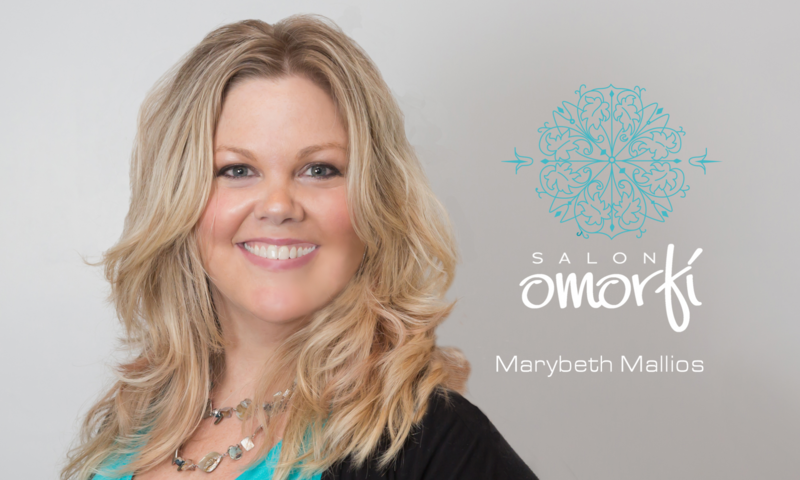 Marybeth Mallios launched her dream, Salon Omorfi, upon her 20 years of customized hair styling and creative hair coloring. Marybeth’s clients enjoy the most professional personal care and achieve visible results from her nourishing products and progressive techniques. Treat yourself to Salon Omorfi’s energizing hair care. You care about your appearance. Marybeth cares about bringing your inner beauty to light. A Salon Omorfi cut means easy maintenance. We cut your hair to take into consideration natural wave patterns and facial structure to allow your freshly cut head of hair to fall naturally, and flow into the desired style. 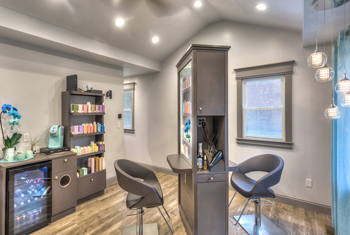 All Salon Omorfi Hair Designs include a stimulating hair wash and relaxing scalp massage, plus a complete consultation, blow dry style and thermal finish of choice. All Salon Omorfi Blow Dry Stylings include a stimulating hair wash and relaxing scalp massage without cutting, plus a complete consultation, blow dry style and thermal finish of choice. Good color is the foundation of your unique look. 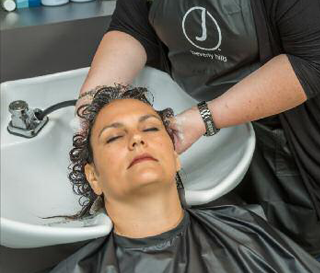 Salon Omorfi uses only J Beverly Hills products and formulas for proven results. 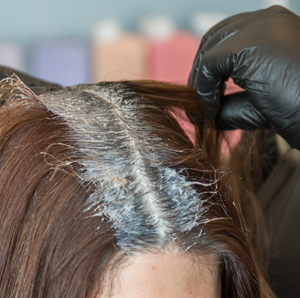 Over 88 intermixable colours and 11 fashion colours, all botanically infused with antioxidants such as argan oil, black pearl powder, acai berry and aloe vera give Salon Omorfi the ability to create semi, demi, permanent, translucent and opaque nuances for 100% grey coverage and use less than 1% ammonia. Creative Highlighting Techniques including Balayage, Ombre, etc., starting at $150. Long hair that requires additional product and time will incur an additional charge. J Beverly Hills was created by Juan Juan, celebrity stylist and founder of the Juan Juan Salon, a Beverly Hills landmark. Famous actors and actresses like Kim Basinger, Robert de Niro, Hilary Swank, John Travolta, Sandra Bullock, Uma Thurman, Kevin Bacon and Brad Pitt are his clients. J Beverly Hills offers a complete selection of cleansing, caring, styling & finishing products, a special line for men and a Color Line featuring 88 intermixable shades. All products contain high-quality ingredients and ethereal oil like Argan-oil & Aloe Vera.Almost every product tends to give a maximum of color retention with remarkable high gloss shine and all products are Paraben and Sulphate free and are NOT tested on animals. Salon Omorfi is proud to be an authorized retailer of J Beverly Hills products. Murumuru butter smooth the cuticles and soften the hair. 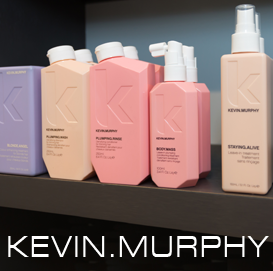 Salon Omorfi is proud to be an authorized retailer of KEVIN.MURPHY products.